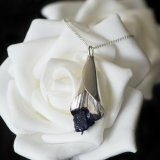 Welcome to Black Gecko Jewellery, specialising in handmade and bespoke Silver Jewellery. I am Sarah, and I am the designer and maker behind Black Gecko Jewellery. Since prehistoric times people have adorned themselves with jewellery for many reasons. Sometimes for religious or cultural reasons, sometimes as a sign of status, or as a way of self expression. I love making beautiful handmade jewellery so that my customers can a have one-of-a-kind piece that they will love. I do a lot of custom work, which means I can help my customers to find something that represents who they are. If you have any questions or ideas you can use the Contact page, and I will get back to you as soon as possible. You can also find some of my work on Etsy. 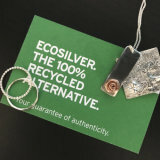 Where possible I use recycled materials in my work to reduce the impact my jewellery has on the environment.